Radiation might dramatically affect the results of breast reconstruction. According to a recent report on Breastcancer.org, new research "suggests that radiation after implant reconstruction seems to cause more complications than radiation given after autologous reconstruction [rebuilding the breast with tissue from your own body]." The study, presented at the annual San Antonio Breast Cancer Symposium, "looked at medical data and collected patient reports on reconstruction outcomes from 2,014 women who had mastectomy and breast reconstruction." Two years after radiation was completed, 39% of women who'd undergone implant reconstruction had at least one complication — compared to 26% for those who'd had autologous reconstruction. Worse yet, the study showed radiation was "linked to more than doubling the risk of complications" after the implants but was "not associated with a higher risk of complications" in women who'd undergone the other treatment. Complications included "infection at the surgery site, hematoma (collection of blood outside blood vessels), capsular contraction, and other problems." Those with implants who'd been treated with radiation also were less satisfied with their results than those who didn't get radiation, the study indicated. 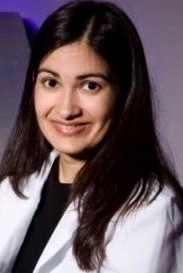 Dr. Reshma Jagsi, lead author of the study and deputy chair of radiation oncology at the University of Michigan, contended that women who planned to receive post-mastectomy radiation therapy needed to be informed of the "significant impact" the study found regarding radiation and implant reconstruction. And conversely, she said, "those who plan to pursue autologous reconstruction…may derive some reassurance" from the statistics. 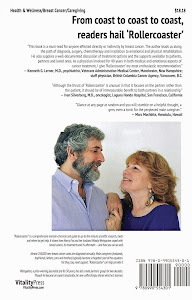 Dr. Marisa Weiss, Breastcancer.org founder, added that "one thing I recommend as a breast radiation oncologist who deals with this issue all the time is to make sure the implant you get is fairly close to your original size." The problem with a bigger size, she noted, is that the skin has already "lost a lot of its blood supply with mastectomy, it's been stretched, it's maybe been subjected to chemo, it's not the happiest camper on the block." After mastectomies, radiation normally is recommended if the cancer is about two inches long, if it's spread to four or more lymph nodes, if it's spread to the skin, or if cancer cells are found in the rim of tissue around the disease (the margins). 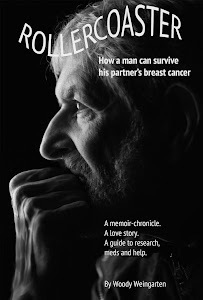 Post-surgery feelings of patients are addressed in detail in "Rollercoaster: How a man can survive his partner's breast cancer," a VitalityPress book I, Woody Weingarten, aimed at male caregivers.